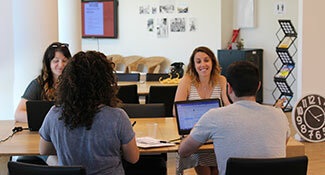 Thousands of Israelis rent desks or private offices on a monthly, weekly, daily or even hourly basis at one of the country’s more than 200 coworking spaces. 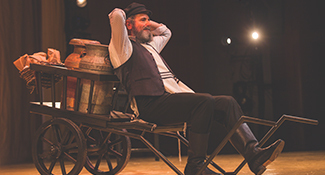 Over the past 15 years, Yiddish has gotten hip, and an unprecedented wave of cultural expression—including a popular Folksbiene production of 'Fiddler on the Roof'—is the result. 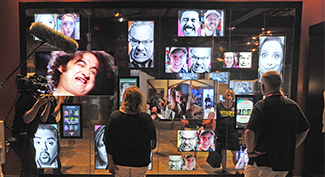 Jewish comedy icons, including Gilda Radner, Lewis Black and Jerry Seinfeld, are on display at the National Comedy Center, a sprawling new museum in Jamestown, NY. 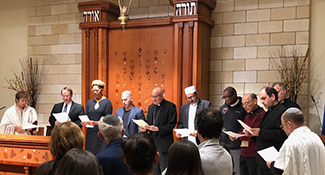 A memorial program in a Brooklyn synagogue, one of many held nationwide for the victims of the Pittsburgh shooting, gave locals a space to gather and grieve.